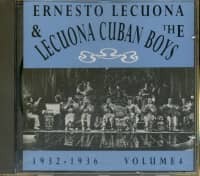 The Lecuona Cuban Boys commenced in 1932 and were still performing more than forty years later. During the 1930s they were the toast of Europe and left a large and valued legacy of recordings. 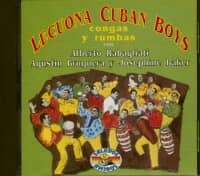 The story of the Lecuona Cuban Boys which follows is from interviews in 1978 with two of the founder members of the Cuban Boys, brothers Agustin and Gerardo Bruguera by Finnish collector-enthusiast, Dr. Kimmo Luomanmaki. 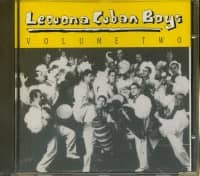 The story really begins early in 1930, when the Brugueras and pianist, Armando Orefiche were members of the Orquestas Los Hermanos LeBatard-Palau. Late in 1931, together with "Jaruco" Vazquez and a few others, they formed their own band: the Orquesta Encanto. This was the group which became Ernest Lecuona's Orquesta Cubana. Maestro Lecuona (before we met him) was in Hollywood, writing the music for the film 'Cuban Love Song', with the famous baritone Lawrence Tibbett. At that time our band had been playing at the Teatro Encanto in Havana for a year, taking its name from the theatre. Orquesta Encanto was very popular with the teenagers. Ernestina Lecuona (his sister), also a concert pianist and composer, wrote to Ernesto telling him about the success of our band. It was like love at first sight! Lecuona came from Hollywood and that was the beginning of our friendship, fraternal and perfect collaboration through the years until he died (1963). 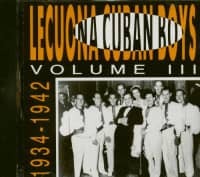 Later trumpeters included Fernando Diaz (who replaced Rivero) and Luis Escalante, who joined Armando Orefiche's Havana Cuban Boys, when he split from the Lecuona Cuban Boys. 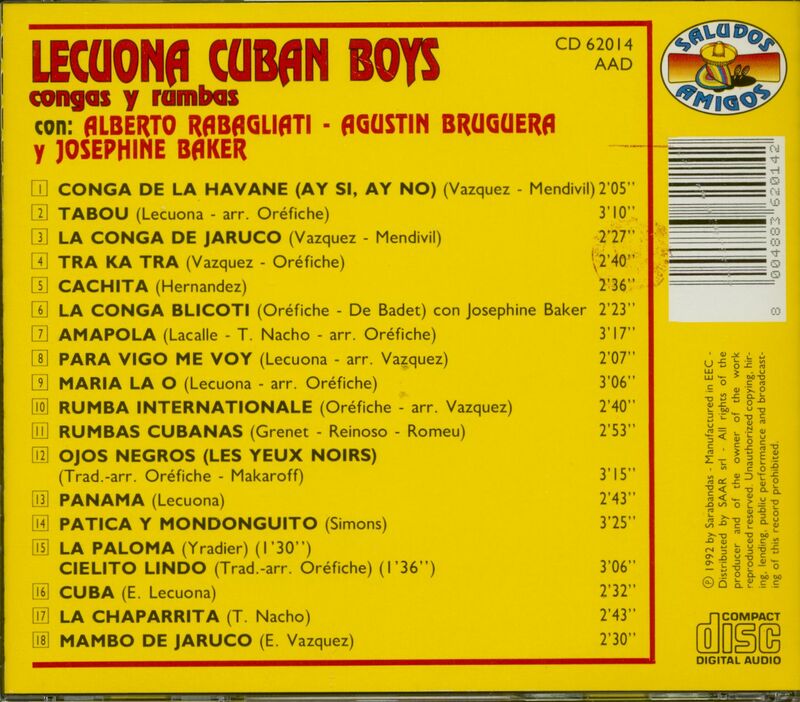 Later, high note specialist Saul Torres, from San Salvador, was featured with "Jaruco", where they can be heard on Mambo De Jaruco (Harlequin HQ CD 07 Lecuona Cuban Boys Vol. 2). Ernesto Lecuona was a technically highly talented pianist. 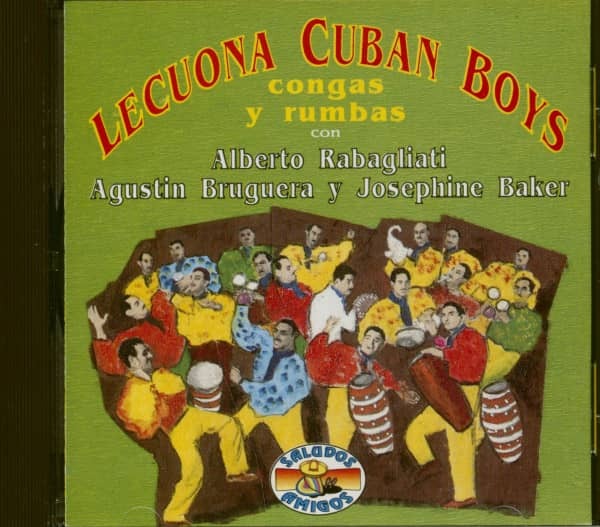 The Bruguera brothers recalled a concert in 1932 in Matanzas province in Cuba. We arrived with Lecuona and his sister to give a concert. The first part of the programme was by Lecuona and Ernestina; classic music and Lecuona compositions. The second part was Lecuona and the orchestra. Just before the concert, Lecuona noticed that one of the two grand pianos was tuned normal but the other was tuned half a tone lower. We thought that the concert had to be cancelled but Lecuona said, "Don't worry." He said to his sister, "You, Ernestina, will play the piano tuned normal and I will transpose the whole concert." Is it not unbelievable? The concert was a success and nobody noticed the prowess that Lecuona did. During this tour, Lecuona received a contract to give a series of piano concerts in Spain, and in Paris at the Salle Pleyel. He left us at the beginning of 1932 promising us he would take the band to Spain at the first oppor-tunity. After a few months we got a telegram and the tickets for the German boat, 'Karlsruhe', which was sailing one week later, Havana-Santander. Practically without money, suitcases, or passports we arrived in Spain. Only one member of the Orquesta Encanto remained behind in Cuba. That was the depression years — Wall Street bankruptcy and misery. Lecuona fixed everything with the Cuban Ambassador in Madrid and we got passports etc, and this began the two-year tour of Spain. In 1934 Lecuona got very sick with pneumonia; it was a cold winter. The doctors said he would die before midnight. After the crisis, the doctors said, "Go to Cuba, to the tropics, or you are going to die in Madrid." The concerts given by Lecuona and "Su Orquesta Cubana" consisted of two elements: Lecuona playing his solo piano compositions and the band playing Cuban popular music. Contrary to most encyclopedias, Ernesto Lecuona never played as a pianist in the band. Customer evaluation for "Congas Y Rumbas (CD)"